Registration. 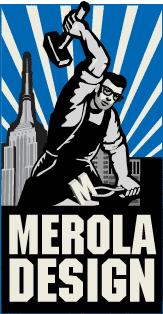 If you desire to have access to certain restricted sections of the Site or request to receive marketing materials, you may be required to become a registered user, and to submit the following types of Personal Information to Merola Design: your name, email address, phone number, full user name, password, city, and time zone. Facebook Merola Design may allow you to connect a Facebook page or profile to your Merola Design account, in which case we will access certain information from Facebook regarding your account. In particular, we may collect profile image, display name, username / page ID or profile ID, access tokens, sent posts. This includes the content of your post and engagement data (such as click rates, likes, re-shares, impressions, as well as general engagement counts), to the extent permitted by applicable law. This data will only be used by Merola Design to provide you with the Service you expect and will not be shared with any third parties. Twitter Merola Design may allow you to connect a Twitter profile to your Merola Design account, in which case we will access certain information from Twitter regarding your account. In particular, we may collect profile image, display name, username / profile ID, access tokens, and sent posts. This includes the content of your post and engagement data (such as click rates, likes, retweets, re-shares, impressions, as well as general engagement counts), to the extent permitted by applicable law. This data will only be used by Merola Design to provide you with the Service you expect and will not be shared with any third parties. Instagram Merola Design may allow you to connect an Instagram profile to your Merola Design account, in which case we will access certain information from Instagram regarding your account. In particular, we may collect profile image, display name, username / profile ID, access tokens, and sent posts. This includes the content of your post and engagement data (such as click rates, likes, re-shares, impressions, as well as general engagement counts), to the extent permitted by applicable law. This data will only be used by Merola Design to provide you with the Service you expect and will not be shared with any third parties. Pinterest Merola Design may allow you to connect a Pinterest page or profile to your Merola Design account, in which case we will access certain information from Pinterest regarding your account. In particular, we may collect profile image, display name, username / profile ID, access tokens, sent posts, and profile boards. This includes the content of your post and engagement data (such as click rates, likes, re-shares, re-pins, impressions, as well as general engagement counts), to the extent permitted by applicable law. This data will only be used by Merola Design to provide you with the Service you expect and will not be shared with any third parties. we may collect profile image, display name, username / profile ID, access tokens, and sent posts. This includes the content of your post and engagement data (such as click rates, likes, re-shares, impressions, as well as general engagement counts), to the extent permitted by applicable law. This data will only be used by Merola Design to provide you with the Service you expect and will not be shared with any third parties. Google+. Merola Design may allow you to connect a Google+ page or profile to your Merola Design account, in which case we will access certain information from Google regarding your account. In particular, we may collect profile image, display name, username / profile ID, access tokens, and sent posts. This includes the content of your post and engagement data (such as click rates, likes, re-shares, impressions, as well as general engagement counts), to the extent permitted by applicable law. This data will only be used by Merola Design to provide you with the Service you expect and will not be shared with any third parties. Additionally, if you connect Twitter, Facebook, or Instagram when utilizing Merola Design Reply we may collect: profile image, display name, username / page ID, access tokens, sent or received comment text and sent or received private message text. Additionally, if you connect Twitter, Facebook, or Instagram when utilizing Merola Design Analyze we may collect: profile image, display name, username / handle, access tokens, social accounts insights data and social accounts demographic data, sent tweets, social account’s followers count, social account’s insights data and social account’s audience data. Cookies and Similar Technologies. Like many websites, we also use “cookie” technology to collect additional website usage data and to improve the Site and our Service. A cookie is a small data file that we transfer to your computer’s hard disk. A session cookie enables certain features of the Site and our service and is deleted from your computer when you disconnect from or leave the Site. A persistent cookie remains after you close your browser and may be used by your browser on subsequent visits to the Site. Persistent cookies can be removed by following your web browser help file directions. Most Internet browsers automatically accept cookies. Merola Design may use both session cookies and persistent cookies to better understand how you interact with the Site and our Service, to monitor aggregate usage by our users and web traffic routing on the Site, and to improve the Site and our Service. Merola Design does not process or respond to web browsers’ “do not track” signals or other similar transmissions that indicate a request to disable online tracking of users who use our Service. Merola Design cooperates with government and law enforcement officials or private parties to enforce and comply with the law. To the extent permitted under applicable law, we may disclose any information about you to government or law enforcement officials or private parties as we believe is necessary or appropriate to investigate, respond to, and defend against claims, for legal process (including subpoenas), to protect the property and rights of Merola Design or a third party, to protect Merola Design against liability, for the safety of the public or any person, to prevent or stop any illegal, unethical, fraudulent, abusive, or legally actionable activity, to protect the security or integrity of the Service and any equipment used to make the Service available, or to comply with the law. Merola Design is very concerned about safeguarding the confidentiality of your Personal Information. We employ administrative and electronic measures designed to appropriately protect your Personal Information against accidental or unlawful destruction, accidental loss, unauthorized alteration, unauthorized disclosure or access, misuse, and any other unlawful form of processing of the Personal Information in our possession. Please be aware that no security measures are perfect or impenetrable. We cannot guarantee that information about you will not be accessed, viewed, disclosed, altered, or destroyed by breach of any of our administrative, physical, and electronic safeguards, subject to requirements under applicable law to ensure or warrant information security. If you decide at any time that you no longer wish to receive such marketing communications from us, please follow the unsubscribe instructions provided in any of the communications. You may also opt out from receiving commercial email from us by sending your request to us by email at rob@meroladesign.com. Please be aware that, even after you opt out from receiving commercial messages from us, you will continue to receive administrative messages from us regarding the Service. The Site is not directed to persons under 16. If a parent or guardian becomes aware that his or her child has provided us with Personal Information without their consent, he or she should contact us at rob@meroladesign.com. We do not knowingly collect Personal Information from children under 16. If we become aware that a child under 16 has provided us with Personal Information, we will delete such information from our files. Residents of California have the right to request a disclosure describing what types of personal information we have shared with third parties for their direct marketing purposes, and with whom we have shared it, during the preceding year. You may request a copy of that disclosure by contacting us at rob@meroladesign.com.